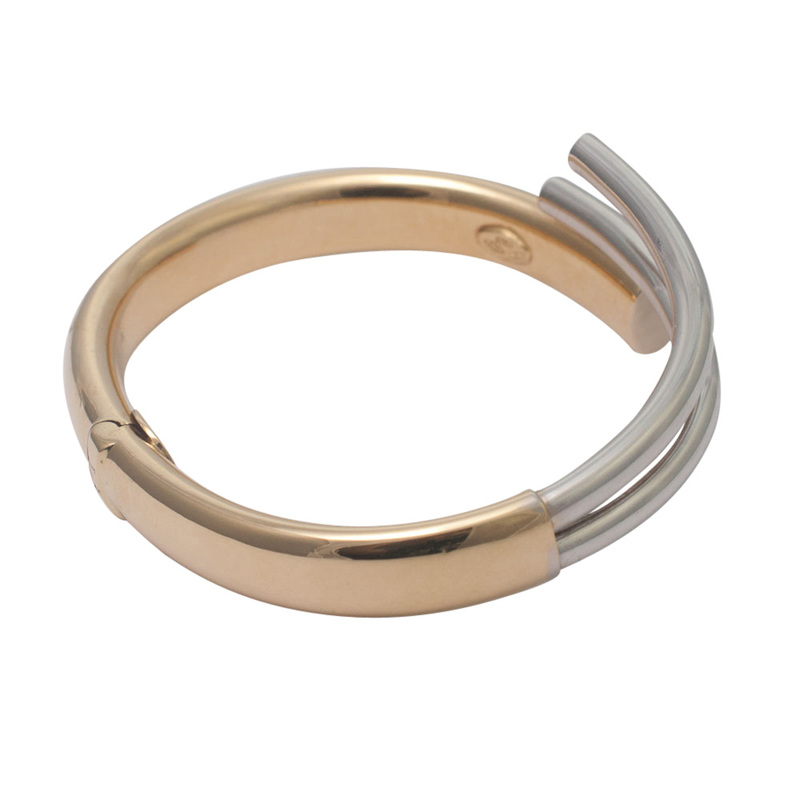 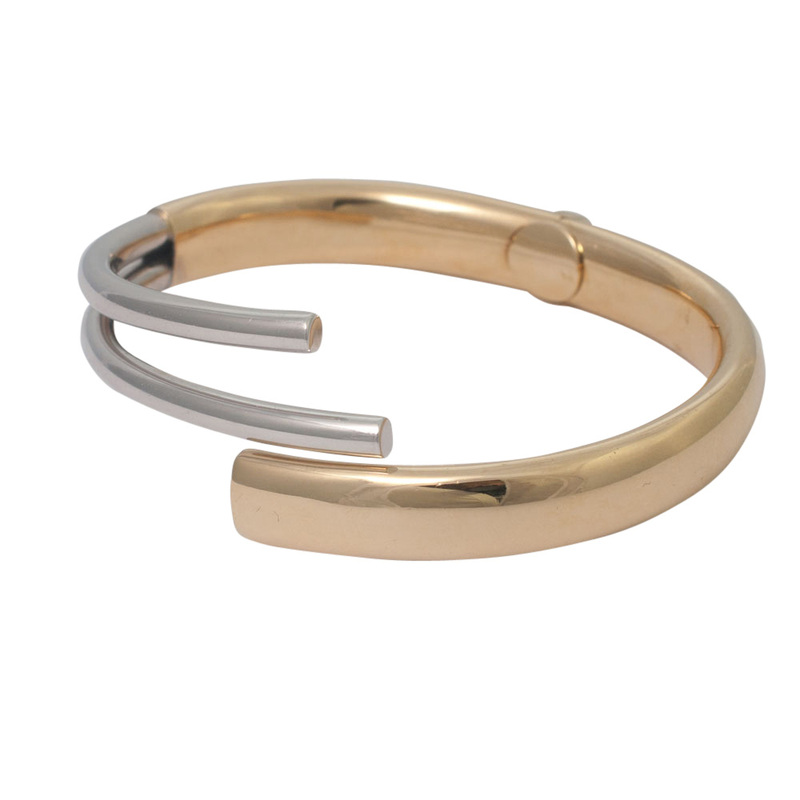 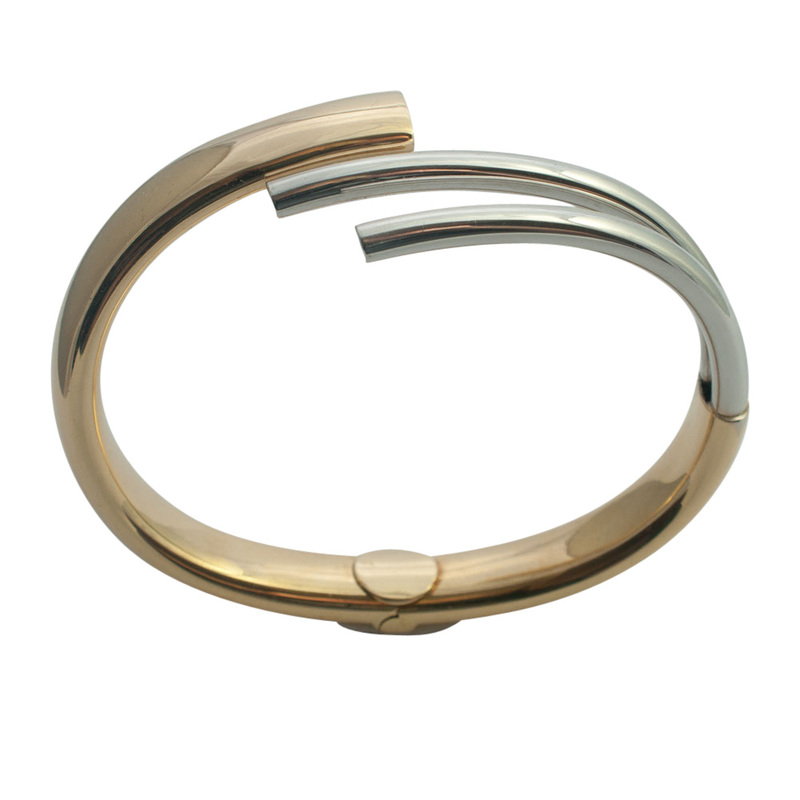 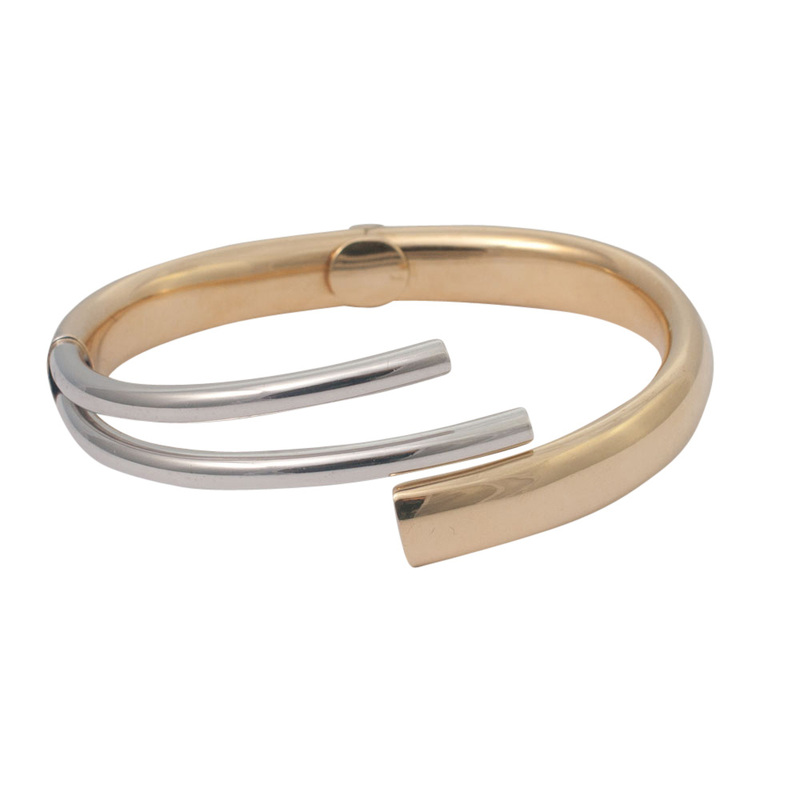 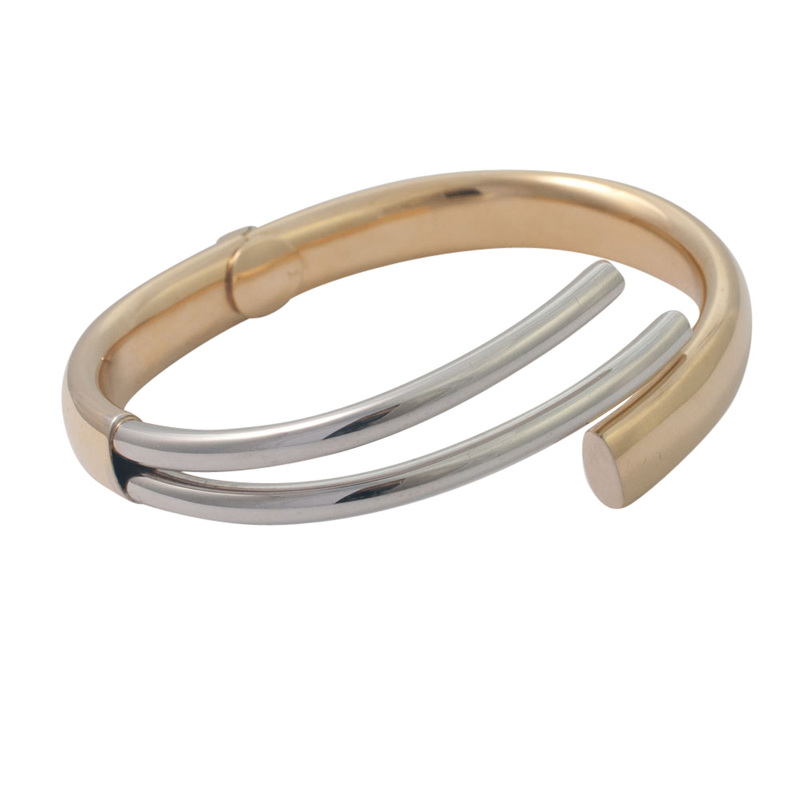 Stylish, contemporary Italian 18ct two colour gold bangle; this bangle is formed of yellow gold and white gold with a double prong and hinged at the back on a spring. 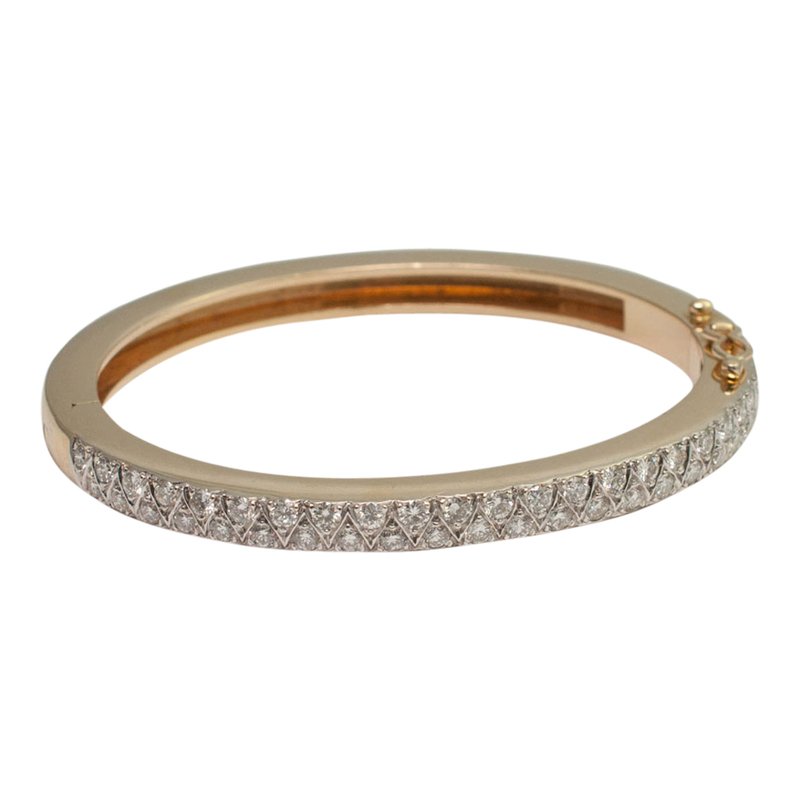 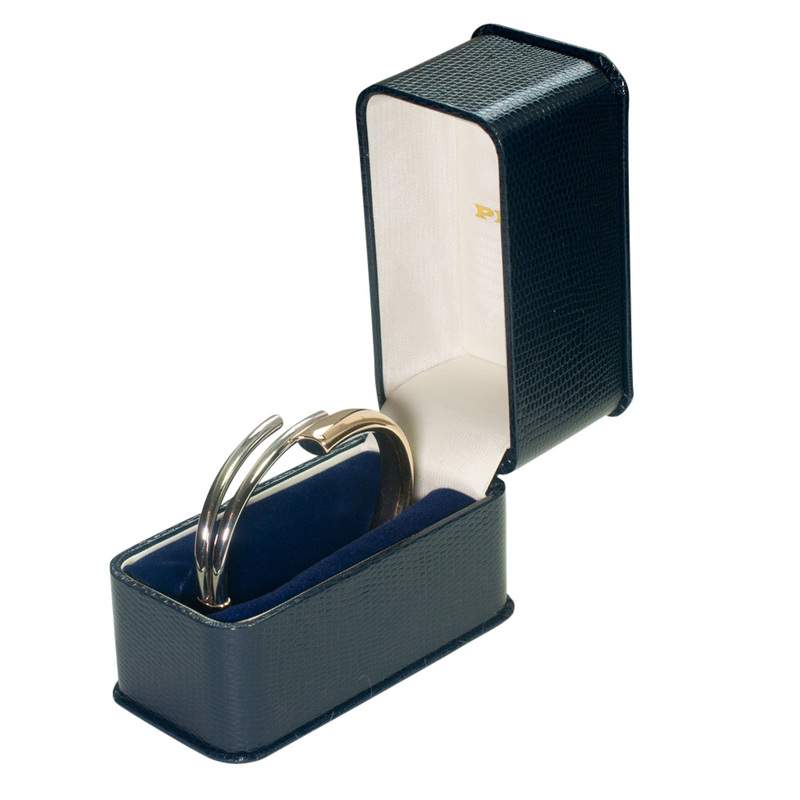 The internal diameter measures 6.2cms; weight 27.9gms. 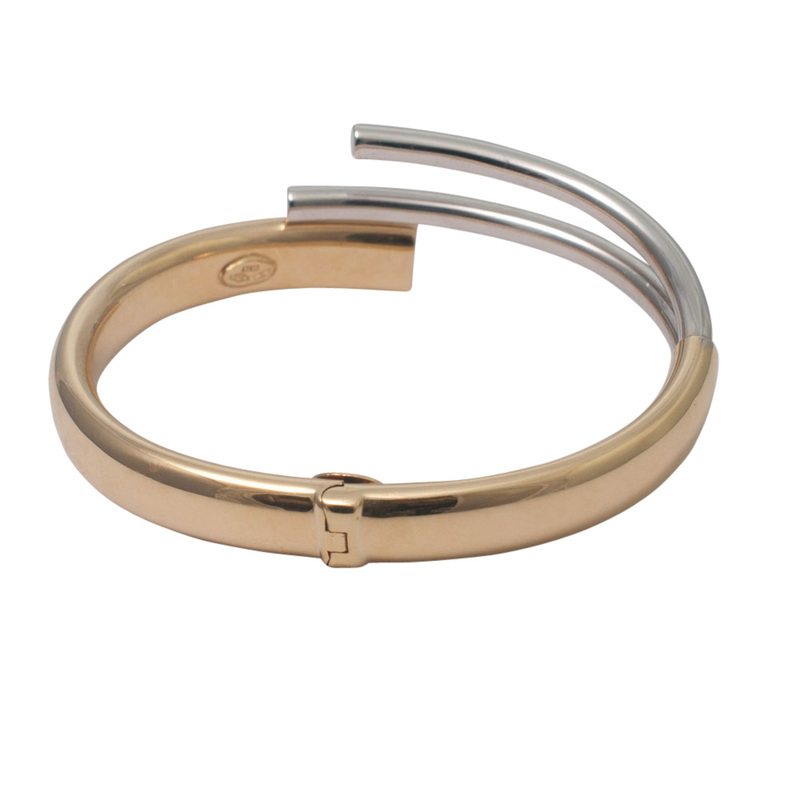 Stamped 750 and Italian maker’s mark. 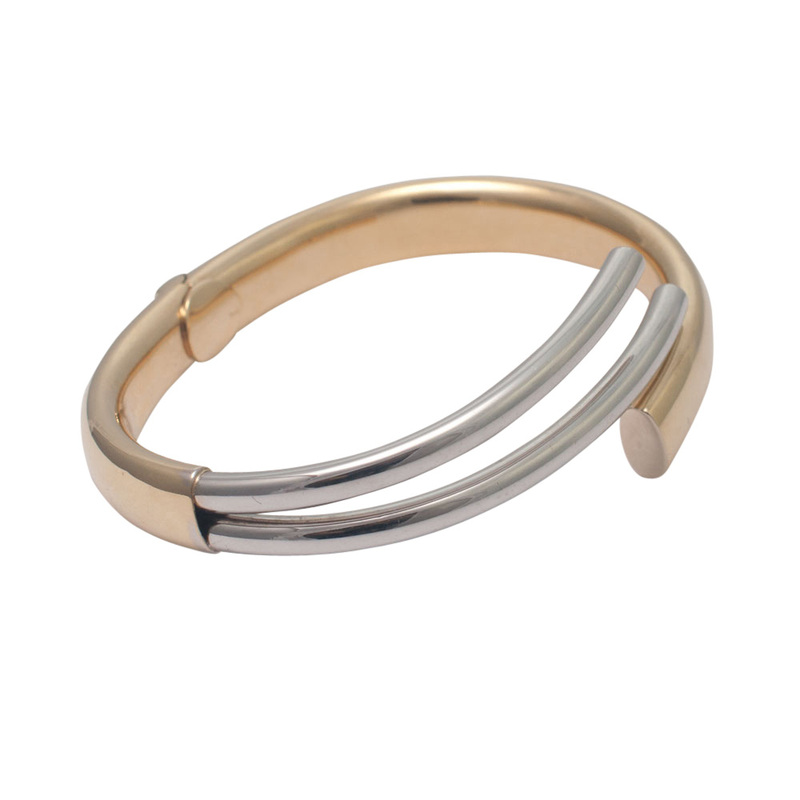 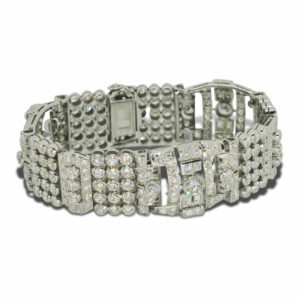 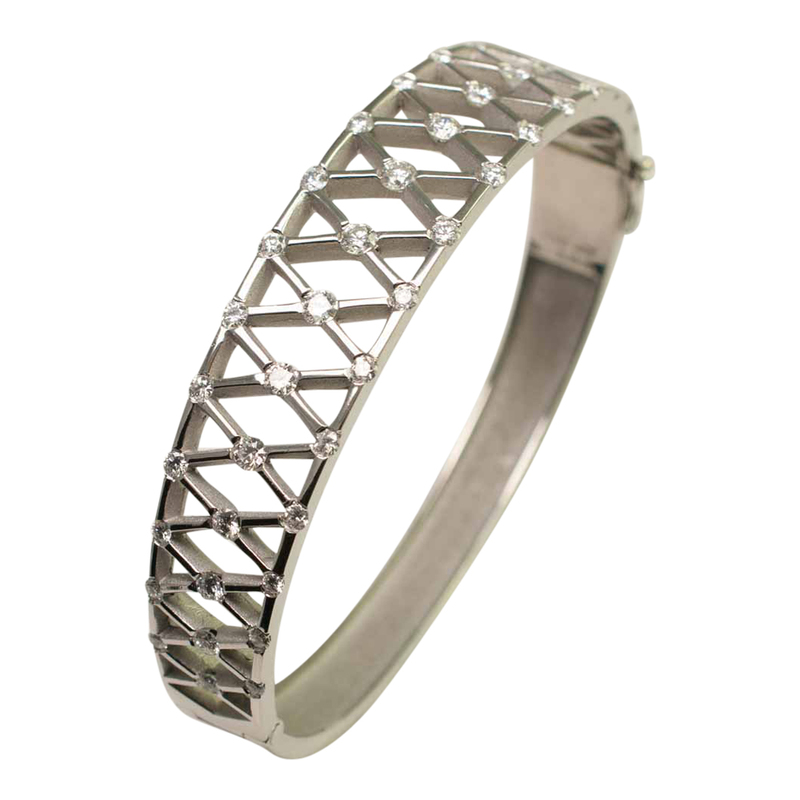 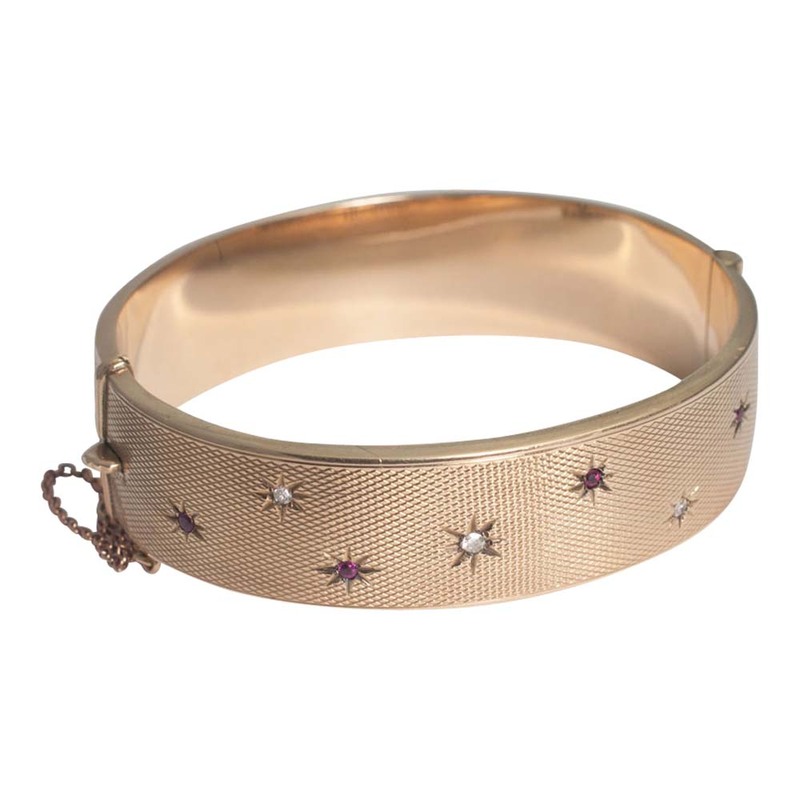 This bangle is in excellent condition.